As a late-comer to the YouTube party, I was intrigued to monitor to whom I would gravitate in my first taste of archive footage of the sport I love. For this writer, boxing is about more than knockout power and the slug-fests, to give them their playstation generation tag, for which the sport appeals to most fans. I love the clinics of Herol Graham, Pernell Whittaker, Floyd Mayweather and the eccentricity of Kirkland Laing. 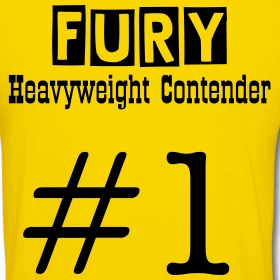 However, despite this clamour for elusiveness, defence, counter-punching and art of hit without being hit the opportunity to investigate the huge archives now resident at YouTube instinctively, and surprisingly, led me toward fighters with dynamite in their gloves. Prince Naseem Hamed was the first name in, and with Tom Johnson left prone, Kevin Kelley finally counted out and Billy Hardy left barely connected to his nose, I moved on toward a Tyson collection of knockouts and from there to Archie Moore and Marciano. Its a wonderful journey around the various punchers. Only in closing with Ali v Williams did I allow myself a stop off for beauty over destruction. 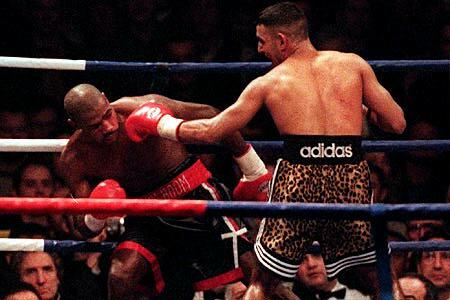 The experience made me consider two things, firstly just how important it is the sport discovers a knockout puncher fans can relate to, and secondly just how much I miss Prince Naseem Hamed. Arrogant, under-prepared and ultimatley beaten, you cannot deny he brought entertainment to the sport and it has been poorer for his absence. Hamed v Pacman, Hamed v Marquez….some thrilling contests were lost with his premature retirement.